Eden Bar & Grill is located in the middle of Dublin’s creative quarter, conveniently close to many of the city’s best cultural attractions and shopping areas. Eden Bar & Grill is a hidden gem, offering an indulging feast for all the senses: fabulous cocktails from their exciting and tempting menu and dishes inspired in cuisines both local and remote can be enjoyed in this alluring venue, surrounded by delicious architecture and design. Their menu features an eclectic combination of flavours with nods to French and Italian classics such as the iconic Beef Bourguignon, as well as perfectly cooked ravioli, along with other exciting international dishes, all with the finest ingredients. 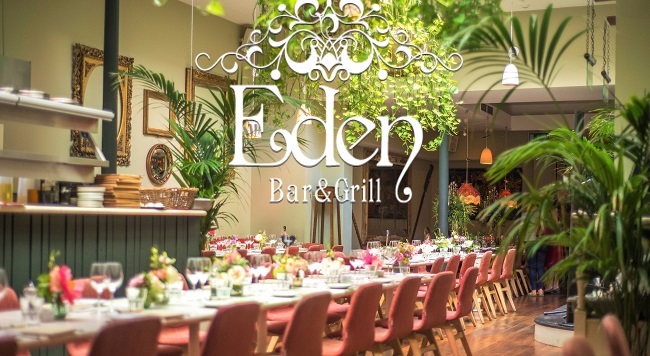 Eden Bar & Grill has teamed up with TheTaste to offer you an irresistible 3 course dinner for two a glass of Prosecco for only €49.